For twenty years, Auto-Tune has been the world standard for professional pitch correction (and more recently, time correction), and the tool of choice for the signature vocal effect of modern popular music. Now, with the introduction of Auto-Tune Pro, it’s more versatile and easy to use than ever before, thanks to a totally redesigned interface and powerful new processing, editing, and navigation features. 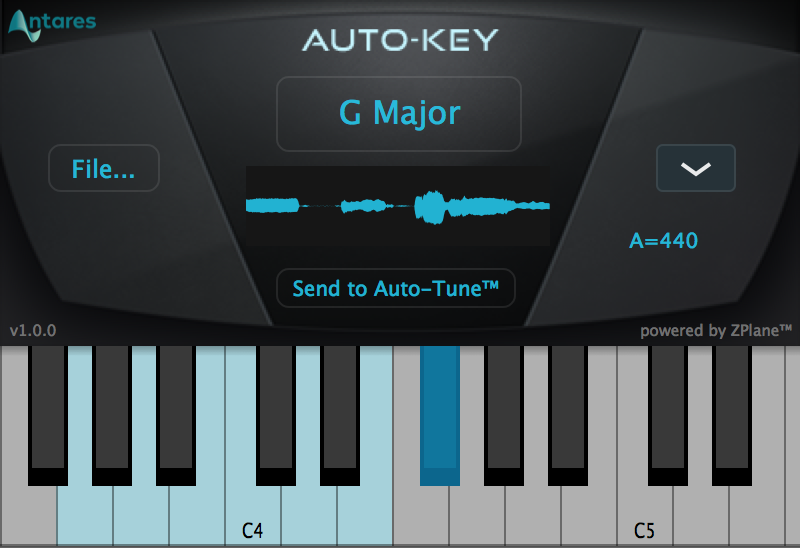 We’ve added automatic key and scale detection with the new Auto-Key plug-in (included with your Auto-Tune Pro purchase), a Classic Mode algorithm which brings back the celebrated “Auto-Tune 5 sound,” real-time MIDI Parameter Control, and ARA (Audio Random Access) functionality for closer integration with supported host applications. Both the Auto Mode and Graph Mode interfaces have been redesigned and optimized to offer the most efficient, flexible, and intuitive workflow for professional users and beginners alike. 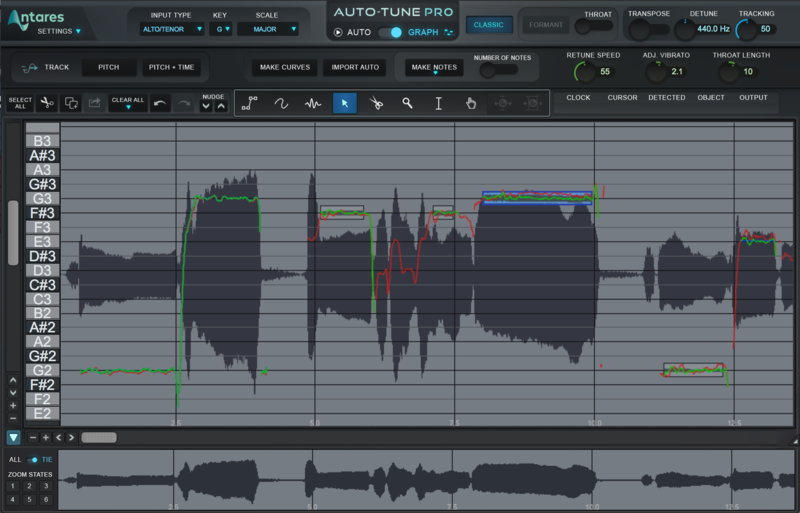 Auto-Tune Pro also includes our Flex-Tune technology, which preserves a singer’s expressive gestures while still bringing them perfectly into tune, a Humanize function for more natural and transparent correction of sustained notes, and a Low Latency mode so you can monitor your track through Auto-Tune in real time without any disorienting delay. It also features Time Correction for transparent, versatile, and non-destructive time editing, as well as Formant Correction, Natural Vibrato and Artificial Vibrato controls, and our unique Throat Modeling technology. Auto-Tune Pro is the most complete and full-featured version of Auto-Tune, including both Auto Mode, for low latency, real-time pitch correction, and Graph Mode, for more detailed graphical pitch and time editing. Whether you want to quickly touch up a few questionable notes or meticulously polish an entire performance, Auto-Tune Pro offers the natural sounding, pristine pitch correction and classic effects you’re looking for. Auto-Tune version having its own slightly different character. 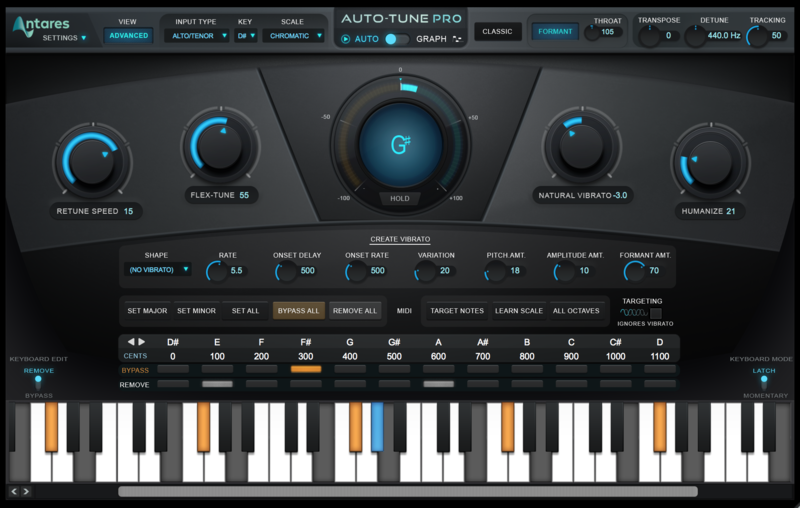 Auto-Tune Pro requires an iLok Version 2 or Version 3 (not included). Auto-Tune Pro is not compatible with iLok Version 1. • ARA supported in Studio One 3. • Windows 7 SP1 to Windows 10 as required by your version of Pro Tools. • Windows 7 SP1 to Windows 10 as required by your host.